This article was written By John Berra on 22 Jan 2016, and is filed under Features. The crime cinema of Hong Kong has always had a distinctive flavor with its iconic star personas, vibrant filmmaking technique, and unique urban milieu defined by cultural intersections. Even during particularly fallow periods for the local industry, the crime genre has kept Hong Kong cinema in the international spotlight by consistently pumping out hard boiled thrillers which deliver cracking underworld narratives while evidencing the strong sense of time and place that enable such potboilers to transcend their sometimes shopworn conventions. In celebration of Hong Kong’s cinema’s flair for stories of cops and criminals, leading independent venue HOME in Manchester, UK will run the season CRIME: Hong Kong Style from February 4 to April 7. Comprised of exciting new releases and firmly established classics, this season showcases UK premiers of genre master Ringo Lam’s comeback feature Wild City, plus Alan Mak and Felix Chong’s political corruption saga Overheard 3, and Chong’s subversive solo directorial debut Once a Gangster, alongside such enduring favorites as Yip Wai Man’s gritty Triad drama Portland Street Blues. The well-chosen vintage selections serve to illustrate the eclectic nature of the Hong Kong crime film and the manner in which it is frequently combined with other popular genres. 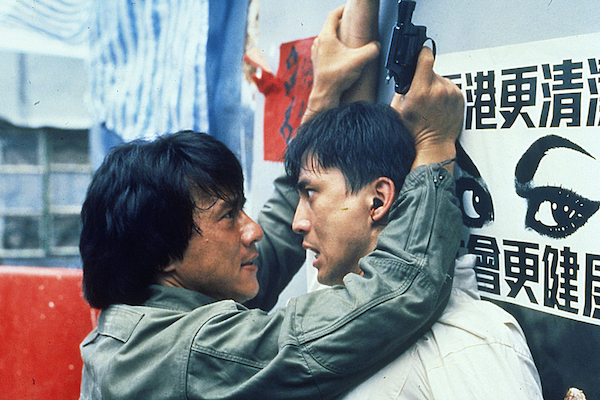 Police Story features some of Jackie Chan’s most legendary daredevil stunts, while The Killer Constable is an impressionistic wuxia that takes place in the Qing dynasty, and The Boxer from Shantung follows a labourer who becomes a brutally efficient mob enforcer in pre-World War II Shanghai. A true find in the line-up is Yue Fung’s early Hong Kong crime film The Swallow Thief from 1961 in which the daughter of a veteran crime fighter falls in love with a Robin Hood-style criminal who robs from the rich to give to the poor. There’s also a chance to see John Woo’s caper comedy The Pilferers’ Progress, which shows a lighter side to a director more commonly associated with operatic bloodshed. 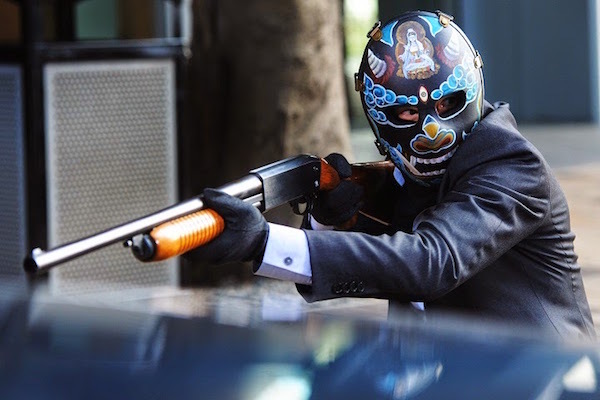 With regards to today’s main purveyors of Hong Kong crime cinema, the season features gripping titles from Johnnie To (Election), Dante Lam (Beast Stalker and That Demon Within), and Wai Ka-fai (Too Many Ways to Be No. 1). Meanwhile, a melancholic approach to the gangster lifestyle can be seen in As Tears Go By, the debut feature of art-house darling Wong Kar-wai. Almost obligatory in its inclusion but always welcome, Andrew Lau’s impeccably slick thriller Infernal Affairs revitalised Hong Kong cinema in the early 2000s by providing the industry with a template for star-driven suspense pieces, eventually being remade in the United States by Martin Scorsese as The Departed, which is also showing here. CRIME: Hong Kong Style has been curated by Andy Willis of the University of Salford who will introduce the season with a contextual talk on February 10, then deliver a lecture on the influence of Hong Kong crime cinema on Hollywood action movies on February 25. Select screenings will be introduced by East Asian cinema scholars Gary Bettinson (author of The Sensuous Cinema of Wong Kar-wai) and Felicia Chan (co-editor of Genre in Asian Film and Television: New Approaches). The screenings of Once a Gangster and Overheard 3 will be followed by Q&A sessions with director Felix Chong. The season will also tour venues across the UK from February. Ticket information and booking services are available at the HOME website.